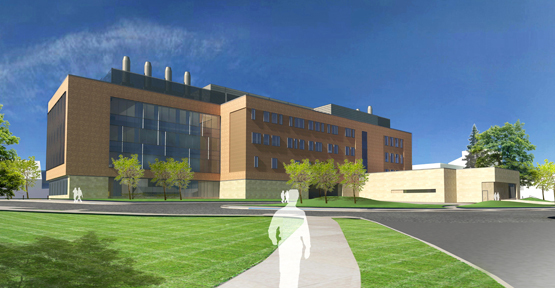 Currently in design this project consists of a new Science Building for the Biology and Chemistry Departments. The building will be located at the east campus entry, and will be a first impression for staff, students and visitors to campus. 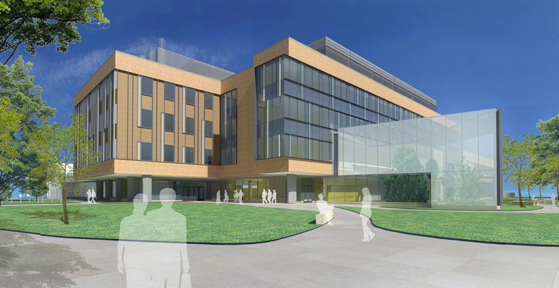 The building will be 172,800 square feet on four floors and will be home to modern academic lab space, research facilities, office and support spaces, classrooms, and lecture halls. Sited to preserve existing trees, the first floor has a strong pedestrian connection to the campus mall and the existing science building. The four story part of the building is oriented east-west to maximize daylighting. Additionally, there is a conservatory planned for the south end of the main circulation path that will feature a “Science on Display”. The facility is designed to maximize sustainability and is pursuing LEED Gold Certification.